There are many factors that influence the success of a good glaze. Matching the clay with the right glaze and correct firing temp. Applying even coats of Glaze. 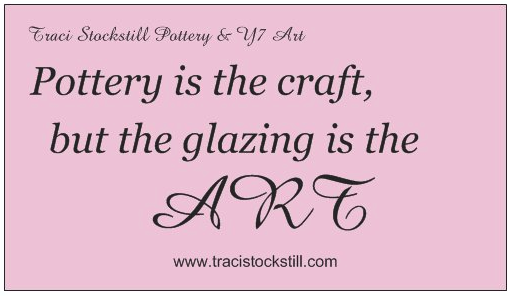 ​My stoneware ART is created to inspire HOPE & JOY for everyday living. Robin's Egg & Deep FireBrick Red Glaze Combo with White Liner Dip on the inside.